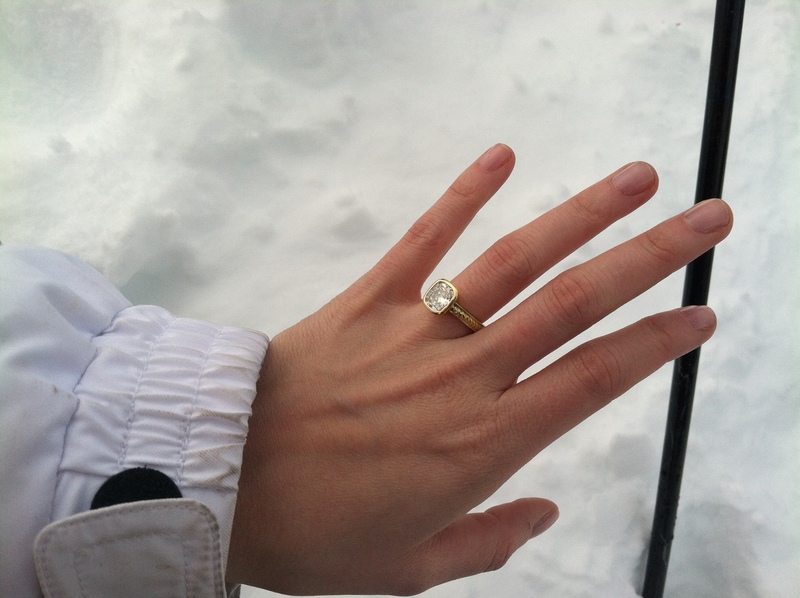 One of our favorite things to do at Marisa Perry Atelier is share fabulous love stories! Megan Williamson and Robert Pimpinella were each other’s high school sweethearts. Both went to separate Catholic schools; Rob in an all boys school and Megan in an all girls school. Her freshmen dance was joint affair between the two schools and they met each other there! Soon after, she asked him to go to her high school formal dance which was later on in the school year! They have been together ever since. Megan remembers initially thinking that although his dancing skills were lacking, he was cute. Rob’s initially thought was also that she was cute and that he could go out with her! After dating for a few months, he then thought that marriage with her was a strong possibility! 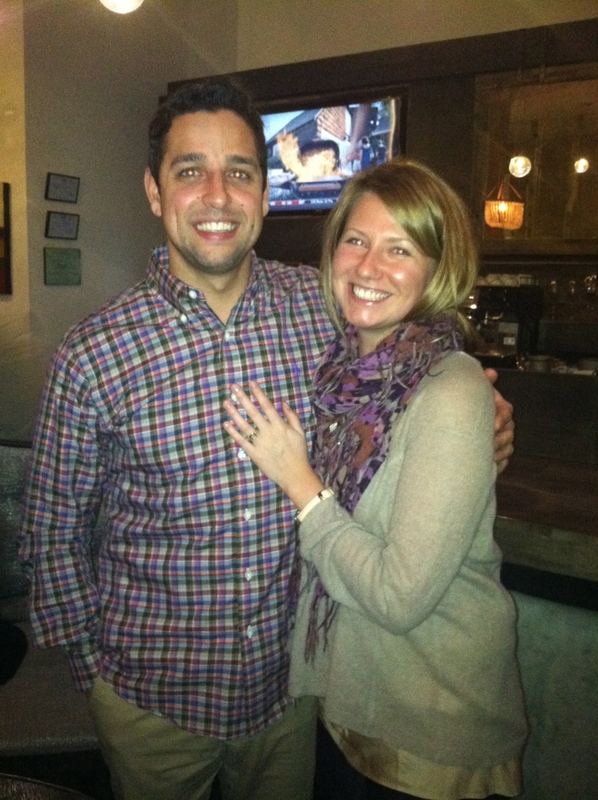 Last January, roughly 13 years from the first time they dated, Robert proposed! 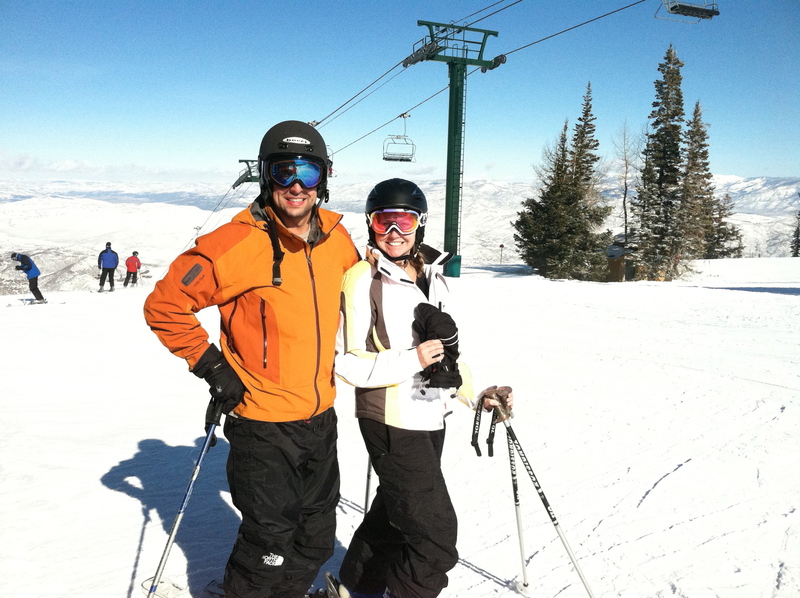 In January 2012, Megan planned a trip to Utah for the two of them to go skiing. Robert took this opportunity as a time to propose because she would be unsuspecting considering it was a trip that she had planned! 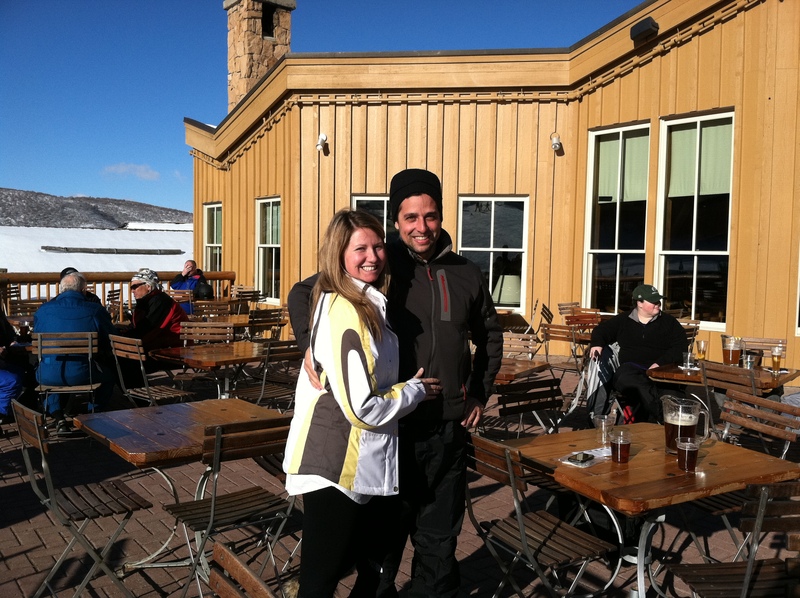 Immediately after they checked in at the Hyatt Escala Lodge on the mountain, they rushed up to the top of the mountain to begin to ski. There had been a recent downpour of heavy snow in the area and Megan was concerned that no one else would be going to the top of the mountain because the snow was deep and ungroomed. Despite the weather conditions, the pair went to the top and they were literally and figuratively in the clouds! But as Megan replayed the trip thus far in her head, it occured to her that he had been very nervous at the airport. Rob had been crossing his fingers that security wouldn’t question the ring and out him! Initial shock of the event had been replaced with pure joy! The happy couple just came in to find their perfect wedding bands and will be marrying soon at the fabulous Canfield Casino in Saratoga! We will update you then with Wedding details!